Before I get into my latest workout playlist, I wanted to share my workout workout from yesterday morning. I spent 35 minutes on the elliptical doing steady state cardio. My cool down was walking the track for 10 minutes. I was in the zone the whole time I was on the elliptical. I’m not sure what it was, but it just felt good to pedal away. Ironically it was tough to wake up when my alarm when off at 6:15 am. 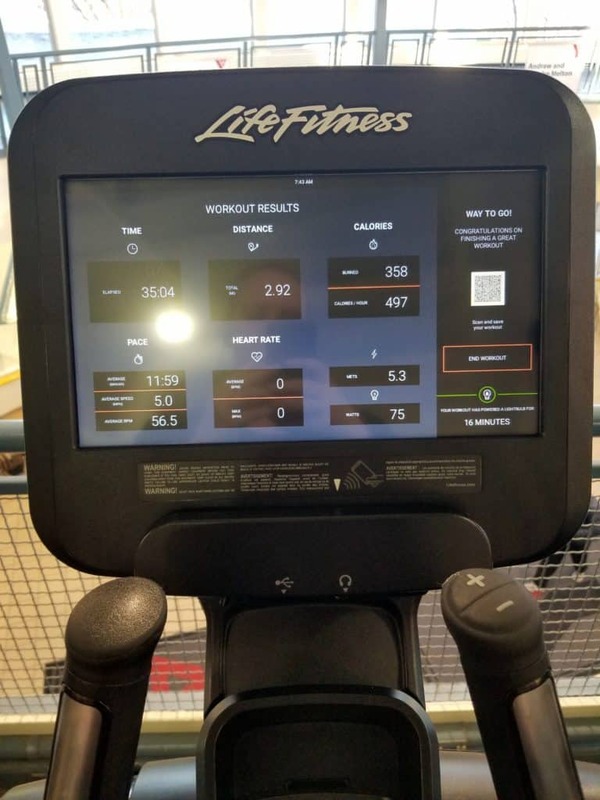 By the time I was done my workout though I was so glad that I got up and did my workout. And now onto this month’s workout playlist. 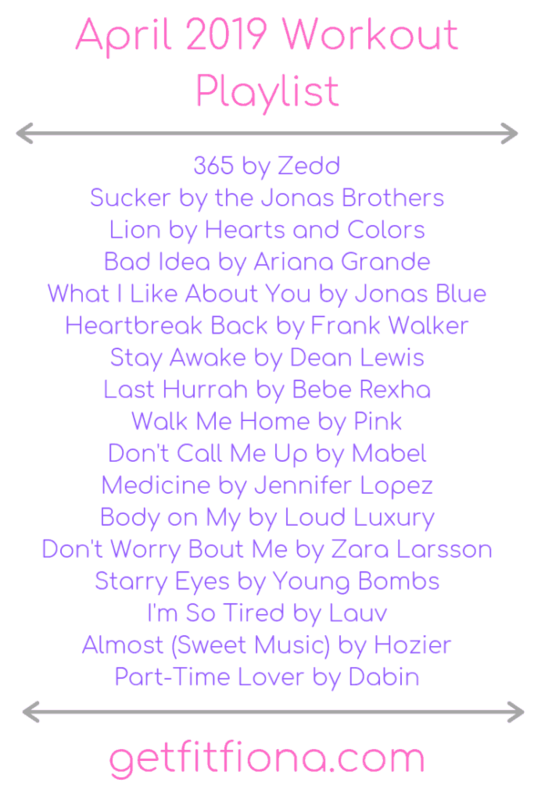 These are all songs that I’m listening to on the radio right now, so it’s all top 40 pop. I’ve downloaded this playlist to my phone and it kept me going yesterday while I was on the elliptical. It’s a 55 minute playlist so it should keep you going for at least most of your workout. You can find this playlist here on Spotify or listen to it below. Looking for more music? Find all of my workout playlists here and follow me on Spotify to get all of my playlists. What did we do for music before Spotify came along? I can’t believe that I waited so long to start using. I’ve been seeing signs up around my neighborhood for rec soccer. It’s the “league” (there’s only 4 teams, hardly a league but I’m not sure what else to call it) that I first discovered soccer a few years ago. It was the perfect thing for me the first year I played. It was rec so there was no pressure to be good. My team was so great and welcoming to me, even though I’d never played soccer before. People were more than willing to remind me of the rules. I’m trying to figure out if I have enough time to devote to the twice a week games. I would love to play again this spring but I’m not sure if I can make it fit my schedule. I don’t have to make a decision quite yet, so I’m hoping I can figure it out. What’s a song on your workout playlist right now?